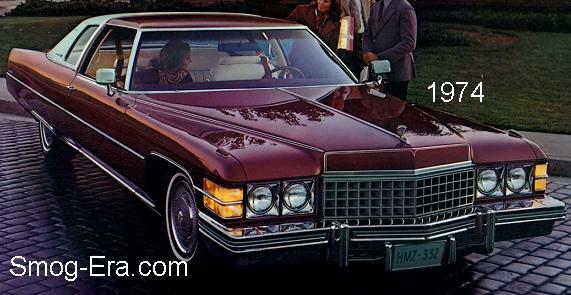 The two-door middle-of-the-line Cadillac for 1973 was massive. It sat on a 130″ long wheelbase and weighed about 5000lbs. The only engine you could get with this thing was an equally impressive 472 CID 4bbl V8. In 1974 the Coupe’s nose received a refreshing. For 1975 the 472 V8 was dropped and replaced with the even larger 500 CID 4bbl V8. The nose received another update, this time with rectangular headlamps. 1976 brought out a new grille and an optional engine, the 500 CID Fuel Injected V8. This engine made 215hp, but made 400 ft/lb of torque. The 4bbl version of the 500 made 190hp and 360 ft/lb of torque. 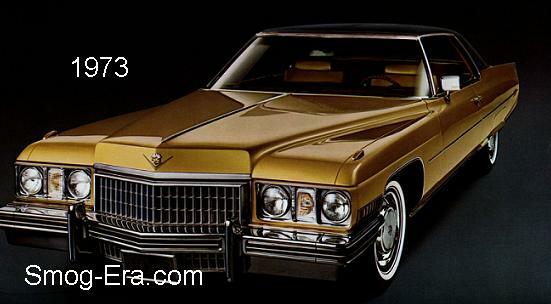 The 1977 Coupe was downsized like all other big GM cars losing 1000lbs in the process. The wheelbase was shortened to 121.5″. Standard power was a 425 CID 2bbl V8 making 180hp. Optional was a 425 CID 4bbl V8 making 195hp. For 1978 the 350 Diesel Oldsmobile V8 was optional. It made just 120hp. 1979 was a carryover year. In 1980 the car was refreshed and lost another 100-plus pounds via more use of plastic and aluminum. The 425 was dropped and replaced with a closely related 368 CID 4bbl V8. It made 150hp. For 1981 the 368 4bbl V8 was still standard. The 350 diesel remained an option, along with a couple new engines. These were a 252 CID 4bbl Buick V6 and the 368 EFI V8-6-4. The latter turned out to be a fiasco. Both 368 V8s were dropped for the Coupe DeVille in 1982. However there was a new base engine this year. It was the 249 CID EFI V8 which made 125hp. This engine was also known as the HT4100. In 1983, the 252 V6 was dropped leaving the 350 Diesel and the 249 V8 as the sole engines.